This inspired self help blog highlights how I attracted stuff! Hello there friends, Eddie here. This inspired self help blog page highlights and reports on things and experiences that I've actually attracted into my life by using the principles of the law of attraction (LOA). That’s right; through these mini blog articles I’ll reveal how I’ve personally attracted things and positive circumstances into my life without even trying, especially without trying! This blog page is ongoing and I'll add to it and update it at the appropriate timing. My primary desire is that upon reading these mini blog articles you'll pick up on the required mindset and note any action taken or not taken by me, which netted positive results in receiving the objects of my desire! And with this knowledge on hand you too will be perfectly positioned to receive anything you desire, within the idea of anything that you'll allow yourself to believe is possible for you! I've noticed that many people still believe that tons of action is necessary in order for them to net positive results using the law of attraction. However, as you will see through these mini blog articles very little action, outside of the action of your mind, is actually necessary when using the LOA. By reading through this inspired self help blog perhaps you'll finally see and thus realize that mental action not physical action is primary in order to net the positive results you desire! Inspired Self Help Blog - "Attracting Ski Goggles Part 1"
This is the first of the mini blog articles. In 2018 I had a great snowboarding trip in Shiga Kogen, Japan. 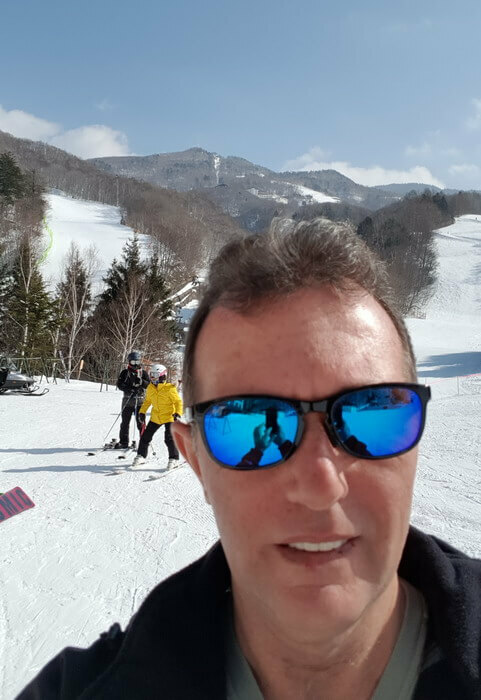 While I was in Japan enjoying my trip I had a wonderful surprise of attracting a beautiful pair of skiing goggles, so I wanted to share exactly how and why that happened with you via this mini inspired self help blog article. 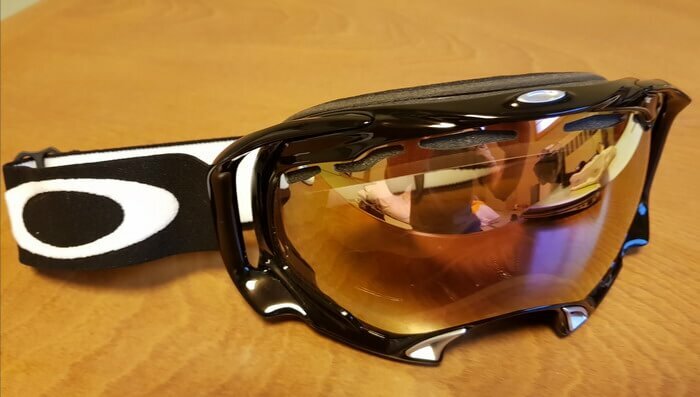 During the first few days of my trip I'd been considering purchasing a couple of items ready for my next snowboarding trip, namely skiing goggles and gloves. I'd casually looked at some goggles at the resort shops, but as there are so many different models and prices to choose from and as I really have no idea about the differences between the various models I gave up looking and decided to delay my purchase until I had time to do research after returning home. 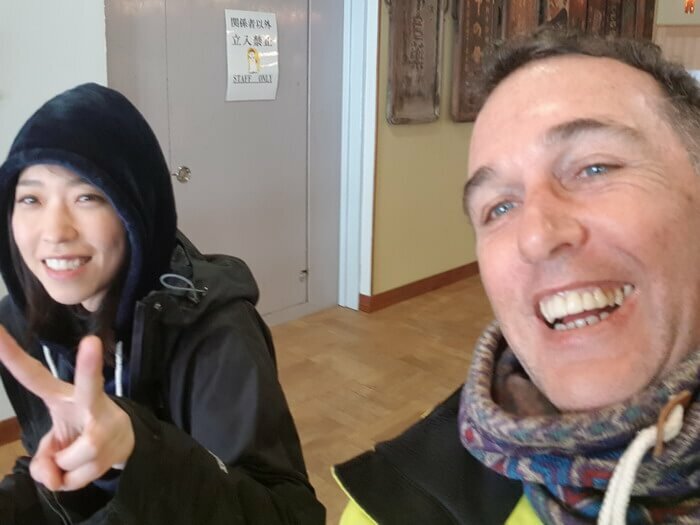 On my penultimate day on the slopes I was fortunate enough to be joined by my good friend Nozomi, who traveled from Tokyo to join me for half a day of snowboarding. Wow, my friend traveled 4 hours by Shinkansen train and bus from Tokyo, snowboarded with me for 4 hours and then did the same 4 hour journey home. What a star! While riding one of the high gondolas together I casually mentioned to my friend that I’d be back to Japan next year and wanted to purchase goggles and gloves before my trip. Nozomi stated that she had an extra pair of ski goggles with her that she didn’t use and she gave them to me later that day. Brevity is the name of the game I love. No trolling through shops for me! Inspired Self Help Blog - "Attracting Ski Goggles Part 2"
These are the actual ski goggles that Nozomi gifted me. Not only are they nearly new and a perfect fit, but these are quite high quality Oakley goggles too! I can't imagine these costing less than $100 in the ski shop or online. And not only did I receive a great pair of skiing / snowboarding goggles, but I also saved time by not having to troll through loads of info and browse through online and offline shops. After all, these are the ski goggles brought to me by the Universe so they must be just what I need, right? Believe it! My friend returned to Tokyo and later that day I began thinking about the event that had just unfolded. I realized that (obviously) I had exactly the right attitude to ensure that the law of attraction worked flawlessly, without any effort or trying by me. Desire - while there are those who believe it's possible to exist in a sublime state absent desire, I don't subscribe to that point of view! In my view, absent desire there is stagnation and death. Thus having a desire is all good as it keeps us moving. The key is I desired it without needing it, this is non-attachment, truly. Imagination - I had a desire so it logically followed that I defined it, imagined it and thought about it. I really believed I could have the object of my desire so my imaginary work felt good. In my imagination I must have felt as I will feel once the object of my desire was mine - because very soon it was mine! 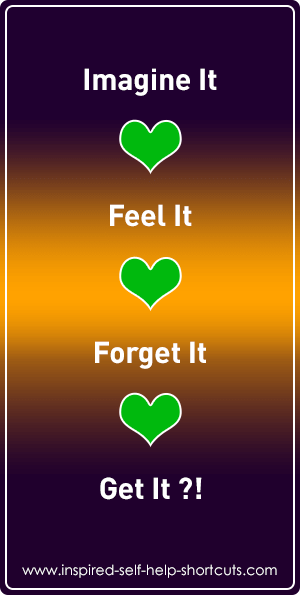 Forgetting - I did the mental work of clarifying, defining and imagining my desire and then I relaxed and allowed the Universe to bring my desire to me through the path of least resistance. By forgetting about the object of my desire I didn’t demand any particular outcome or method of manifestation, thus I was not attached to one. Receiving - I was just happily going about my life, not demanding or waiting for anything in particular. That's when the magic happened. I’ve noticed that through the law of attraction the Universe often surprises me by bringing my desire to me in ways I’d least expected, like my friend traveling all that way to hand-deliver ski goggles to me. Note: I had zero expectation in terms of wanting to get my goggles for free; I had fully intended to purchase them. That's all there is to it, really! Besides, from my perspective what actually happened was an incredible surprise in which the Universe sent an angel to hand-deliver my ski goggles to me free of charge. All said and done, at the end of the day I really deserve that gift! Inspired Self Help Blog - "The Attraction Process"
To go deeply into effectively using the law of attraction, read this inspired self help program page. Inspired Self Help Blog on Doubting the LOA! If you're new to this way of living you might see what we call the law of attraction (LOA) as mere coincidence. For instance, you might say that my friend just happened to carry a pair of ski goggles with her and I was in the right place at the right time, end of story! And from your perspective you are right because you are free to choose to believe anything you want to and your circumstances will reflect your beliefs by being your truth. Ultimately all truths are true, that's the beauty of belief! However, if you doubt the LOA I suggest you look into what a coincidence really is: two events occurring at the same place at the same time. Furthermore, absolutely everything happens due to vibrational frequency resonance. Knowing this you know that what we generally refer to as a coincidence is really the law of attraction in action. All we really need to do is believe more in the thing we desire than in the opposite of it. Remember: to doubt is really to believe in the opposite of your desire, so it makes sense to Believe More and Doubt Less! Inspired Self Help Blog - "To Be Airbnb or Not To Be Part 1"
Here’s another mini blog article. A couple of years ago, due to a decline in business revenue I was contemplating renting out the downstairs section of my house through Airbnb. The house I rent consists of two bedrooms, two bathrooms, and a large living room with large outside balcony, a smaller living room, a kitchen, a covered car port plus a drive and a swimming pool. 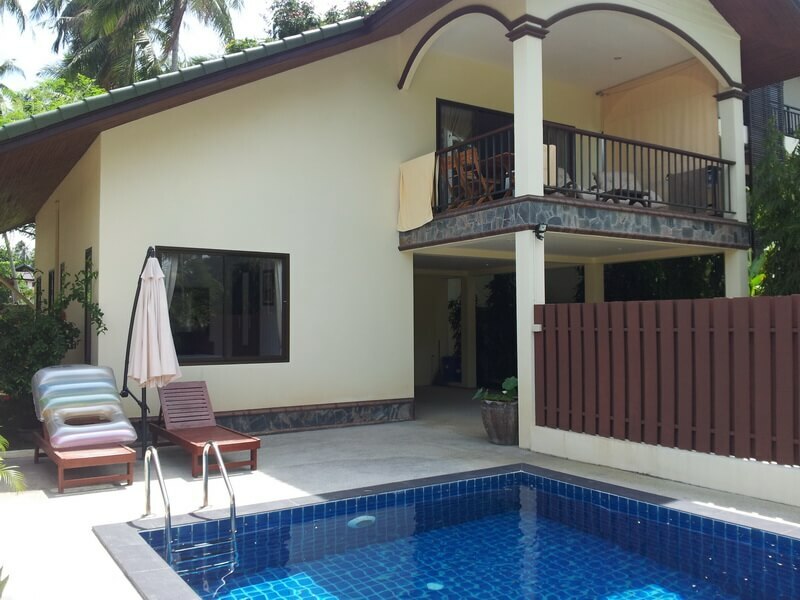 As I mainly use the upstairs part of the house which consists of a large living room, balcony and a large bedroom with en-suite bathroom, I thought I could easily rent out the other parts of the house via Airbnb and I'd only have to share the kitchen and swimming pool with guests. My house is also very desirable as it's only a 1 minute walk to the beach! As I was paying around $1,100 rent and bills per month and I desired to reduce my living expenses by half, I was considering offering the downstairs living room, bedroom and bathroom, use of the kitchen and swimming pool for rent. Based upon hotel and bungalow rates in my area I worked it out that I can charge around $45 per night. So even if it was only rented out for 15 days per month, after Airbnb, cleaning and laundry fees I'd still net at least $500. Inspired Self Help Blog - "To Be Airbnb or Not To Be Part 2"
Thus I started the process by creating an Airbnb rental account, took some photos of the house and started making preparations for listing my house with them. Then I contacted a laundry and cleaning service to find out the rates. I can't remember exactly what happened, but I was busy or off of the island for some reason so the Airbnb listing process got delayed. And then, to my total surprise a great opportunity presented itself to me. Due to the business revenue slowdown the company I was working with couldn't afford to pay the approx. $5,500 advance needed for annual office rental. I took inspired action and suggested that the company rent part of my house for approx. $460 per month. As the company only needed to pay me on a month by month basis they snapped up my offer straight away. And the beauty of this result is that rather than have one or two unknown people in my house for an unspecified number of days per month, the company that rents that space only has one employee who's only there for two hours per day and she only works three days per week. This means that my house is more or less still my own and I managed to reduce the amount I pay for it by more than 40%! Desire - I casually desired to rent my house without needing to rent it. Imagination - I believed it was possible to rent my house via Airbnb, so I started the ball rolling by researching what I needed to do and I felt good about it. Forgetting - I did the mental work of clarifying, defining and imagining my desire, then I got busy with other stuff and forgot about it. Inspired Action - I took inspired action when the opportunity arose. Receiving - I relaxed and allowed the Universe to bring my desire to me through the path of least resistance. Note - I had little expectation in terms "how" my desire would be fulfilled. And by forgetting about the object of my desire I wasn't demanding any particular outcome or method of manifestation, thus I was not attached to one. Airbnb was like a placeholder for my mind while the Universe conjured up something even better! Inspired Self Help Blog - "The House of My Imagination"
The event of this inspired self help blog mini article took place around mid-2013. At that time I was living in small one bedroom house in one of the forests on the island where I live. The rent for this house was approx. $220 per month. Due to my newly found affluence I desired to move to a nicer and bigger house, so I took the time to lay in my La-Z-Boy chair and visualize (imagine) the kind of house I desired. I knew I wanted a house in a nice area with a nice living room, two bedrooms and a swimming pool; I wasn't fussy about anything else! I had a budget of approx. $1,000 per month. I did this mental imaginary work several times, but continued relaxing and enjoying my life. I wasn't unhappy with my current house, I just wanted something better. One day within a week of imagining my desire, I went to eat at an air conditioned diner near my house for breakfast and causally asked the owners, who I've known for 15 years, if they knew of such a house for rent. They ushered me over to one of the dining booths and introduced me to a customer, who told me he lived in such a house and was moving out. This guy called the owner of the house he was renting and after we had both finished our meals I followed him to the house. The owner of the house met us there and showed me around. Not only did this house fit my desire, but it actually exceeded my needs. 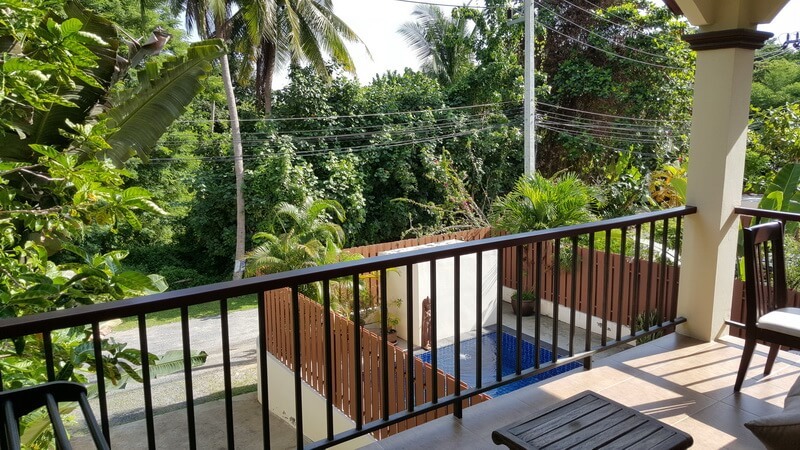 In addition to what I'd visualized this house had a covered car port and was only one minute's walk to the beach through the owner's bungalow business. To my delight the rent was $20 less than the budget I'd allowed myself. And to top it off the current tenant was moving out the very next day! Desire - I casually desired to rent a new house without needing to. Imagination - I believed it was possible, so I defined what I wanted and began visualizing that and feeling as if I was already living in that house in my imagination. Forgetting - The entire process was less than one week, so no time to forget. Inspired Action - Rather than driving around looking I took the inspired action of asking friends if they knew of the kind of house I desired. Receiving - I must have relaxed and allowed because the Universe brought my desire to me through the path of least resistance. Note - I had little expectation in terms "how" my desire would be fulfilled. And by not stressing and fussing over the object of my desire I wasn't demanding any particular outcome or method of manifestation, thus I was not attached to one. Inspired Self Help Blog - 15K Debt to $72K Annually "The Fall"
The events of this inspired self help blog mini article started around 2009. At that time, due to trusting so-called friends who later betrayed me I lost all of my financial investment. 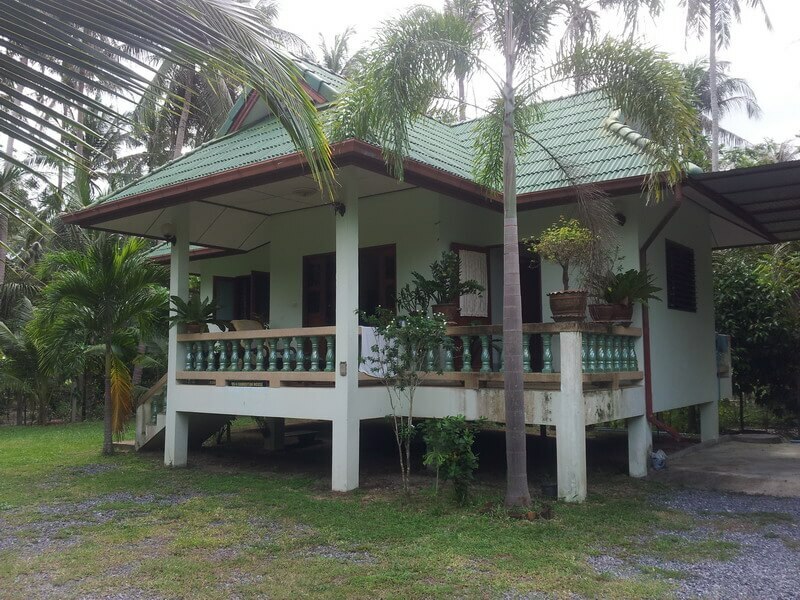 Due to my new financial situation I felt I had no choice other than to move out of my lovely wooden $600 per month house and move into a much cheaper $200 per month house (the one in the previous blog). Aside from that I had to sell my car for $12,000 in order to pay off my debts. To top it all off my ex-wife had recently borrowed money from all of her family members, including me, and then did a disappearing act leaving me with the sole responsibility of supporting our daughter. Even after I'd moved house, sold my car and paid off my debts I still ended up with no money, I mean zero. Inspired Self Help Blog - $15K Debt to $72K Annually "The Doldrums"
As this was far from being the first time that I'd been betrayed by friends and family I took this situation very hard. For the next couple of years I was wallowing in a certain level of self pity. And if you really go into it you will discover for yourself that self pity is really self importance masquerading as self pity, this is due to the nature of the ego-self. To read more about the ego-self on this website, either use the search function or read the self help relationships page in the Relationship section. As a result of choosing to hang around in the doldrums my business and thus my income suffered. As a result of my choices, during the course of the next couple of years I accumulated more debt via $5k on my credit card and via a $10k loan from a friend. Obviously this was not an ideal situation and I was far from happy about it, but I was unable to get past the fact that I'd been betrayed and that I was owed a lot of money, approx. $130,000, by people I'd believed were friends. Inspired Self Help Blog - $15K Debt to $72K Annually "Breakthrough"
Finally, sometime in 2011 something clicked and I started to move forward in a positive way. Someone had reminded me that the money I believed was due to me doesn't have to come from the same people who owed it. At that time I was reading hundreds of books on ego, the LOA and the nature of existence and had begun working on this website. Due to actually living the experience of what I didn't want I had built a strong desire of what I did want, namely a better house, a car, to travel and a lot more money. At that time the one thing I did have was plenty of time, so I used that to my advantage by relaxing in my La-Z-Boy chair and imagining with feeling what I did want. For instance, I remember wanting to visit Japan, so I imagined taking the entire trip several times in my imagination. In addition to this purely mental action I also created an Excel spreadsheet entitled "Projected Income" in which I input how much actual income I desired to receive on a daily basis, as in the example. As you can see the spreadsheet contains Unit Cost and Widgets Sold columns. Although I didn't have any actual widgets to sell I pretended that I did! The trick with using this inspired self help blog idea is to input data for next month's income. 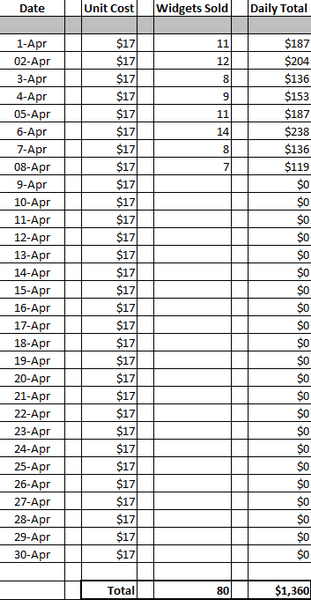 That is to say, to receive $100 on 8th May I entered the number of widgets sold which equaled that amount on 8th April. Every day when I entered the number of imaginary widgets that I believed I could sell I imagined and felt good about what I could do with the money that I believed was en-route to me. Then I completely forgot about the spreadsheet until the next day. Don't make the mistake of believing that pretending is merely wishful thinking, although it can be without a solid belief in your idea. However, when pretending with a solid belief attached you are using your imagination to create your reality. I continued doing this process for many months, even though my financial circumstances had not changed. Fortunately I knew that as we live in a time-space reality change takes time and that change won’t happen until I’d really changed – the inner creates the outer - the reflection (external reality) is determined by the inner (imagination). Around autumn of 2012 a friend presented a business opportunity to me. The opportunity involved working with a number of computer programs (which I'm good at) and shipping products, so it was something I could easily do. So I began doing this part time job and by the end of 2012 as the business began to grow my revenue slowly started increasing. Even so, I continued working on myself and imagining my future and became happier and felt much better. I was excited at the prospect of what 2013 would bring. Inspired Self Help Blog - $15K Debt to $72K Annually "Turnaround"
And then around the end of December 2012 to my total shock and surprise the Universe threw me a curve ball. The friend to whom I owed $10k came banging on my door at 8am one morning and demanded that I repay my debt today. He did this even though he knew that my situation hadn't radically changed and he didn't urgently need the money. I explained that I was very confident that the new business I was involved in would enable me to repay him within a few months. In the end harsh words were exchanged and he left. Afterwards I remember angrily shouting out to the Universe something like "What am I supposed to do?" and "How can I resolve this situation?" Again, to my surprise in very early January 2013 my friend's wife called saying that he'd take my motorcycle which was worth approx. $1,150 in exchange for the $10k debt. I didn't even have to think about it, the next day I met his wife and signed my motorcycle over to her. 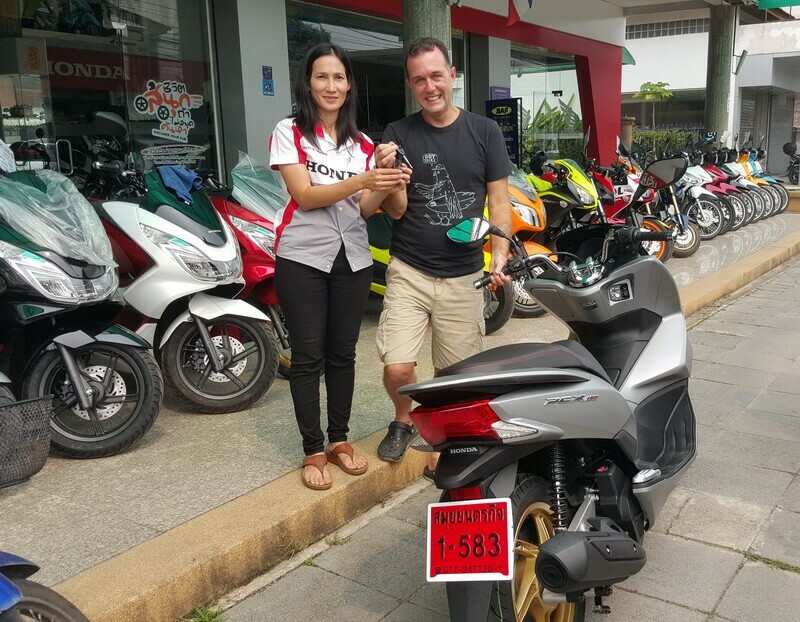 I was so confident that the new business would be successful that on the same day I bought a brand new motorcycle for $2,300 on my credit card. And sure enough during the next couple of months the business grew exponentially to the point where my monthly income was around $4,000 per month. For the next two and a half years the business continued to grow, so I had to rent an office and employ two staff as I couldn't handle the volume of orders alone. Ironically had my friend waited 3 months I would have repaid him in full! During that period my monthly income ranged from $5,000 to $8,000 per month with the average monthly income calculated over a year being $6,000, hence the $72k quoted in the headlines. As my financial income was now where I wanted it to be I quickly paid off my credit card and other debts and was once again 100% debt free. 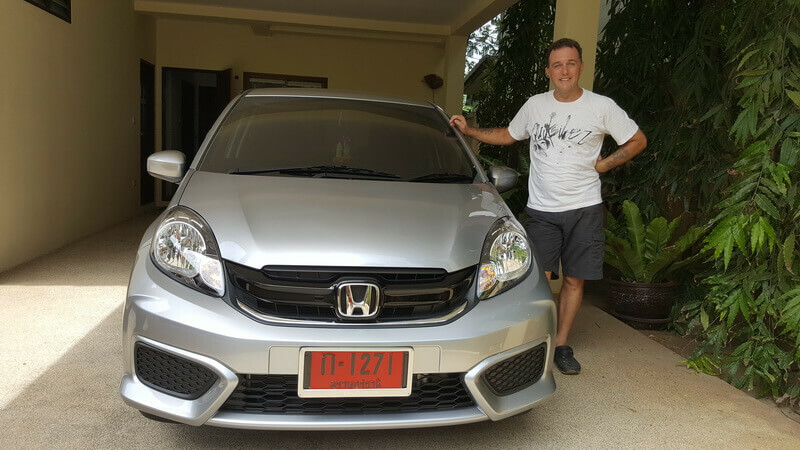 I moved to the house in the the inspired self help blog story earlier, went on holiday to Japan and bought a brand new car. Desire - I had a very strong desire of the new kind of lifestyle I preferred. Imagination - As I was broke I had to use the tool of my own imagination. It wasn't until I finally trusted aka believed fully in the Universe that changed occurred. Forgetting - I waxed and waned a lot in the beginning, so the time delay was great. Inspired Action - I immediately exchanged my motorcycle and accepted the part time job offer even though the initial remuneration was tiny - around $40 per week. Receiving - At some point I must have relaxed and had the correct attitude and state of being, even though I was still broke. Note - I had zero expectation in terms "how" my desire would be fulfilled. I even pretended to sell widgets that I didn't have, such is the power of inspired imagination. I wasn't demanding any particular outcome or method of manifestation, thus I was not attached to one. The results of this inspired self help blog mini article might have happened faster had I got out of my own way. That is to say, had I not chosen to wallow in self-pity for a couple of years my financial situation may have improved much sooner. But hey, that was my process of learning about "the power of imagination" and "the law of attraction." In addition, during that time many other small examples of "what you put out is what you get back" were shown to me, so in the end I wouldn't have it any other way! Inspired Self Help Blog Final Consideration! I trust you're enjoying reading my inspired self help blog mini articles which highlight my law of attraction (LOA) success stories and positive results. I'll continue to add new stuff and things that I've attracted without any effort, as and when they occur. And remember that the LOA applies to everything in your life, be it things and stuff, relationships, experiences, health and work! Through this inspired self help blog I want to remind you that it doesn't matter how you see these things, be it as the LOA, what you put out is what you get back, what you believe you will perceive, what you reap is what you sow or as imagination creates reality etcetera. Krishnamurti once said something like: "The word is not the real!" - in the same way that the menu is not the food! So bear this in mind as you go about your day contemplating manifesting your desires.